Just 15 short months ago America was gearing up for a potentially watershed presidential election, and I was blogging furiously about the problems with both candidates. This morning I happened to check my site traffic and noticed that someone had Googled the phrase "iconic hipster t shirt" and clicked through to a post from that pre-election time, Obama's Cult of Personality... in Pictures. In it, I wrote about the burgeoning trend of pseudo-vintage apparel and iconography that Obama supporters were starting to wear; a trend that would later reach its zenith in Shepard Fairey's "Hope." I think that, assuming Obama wins, if America ever wakes up and looks back at his failed presidency and the mix of mass hysteria and corrupt philosophy that swept this demagogue into office, this photograph could be one of the iconic images of the times that helps to explain what went wrong. It seems so very long ago that Obama's presidency was just a possibility. It's been a hell of a year, so far. 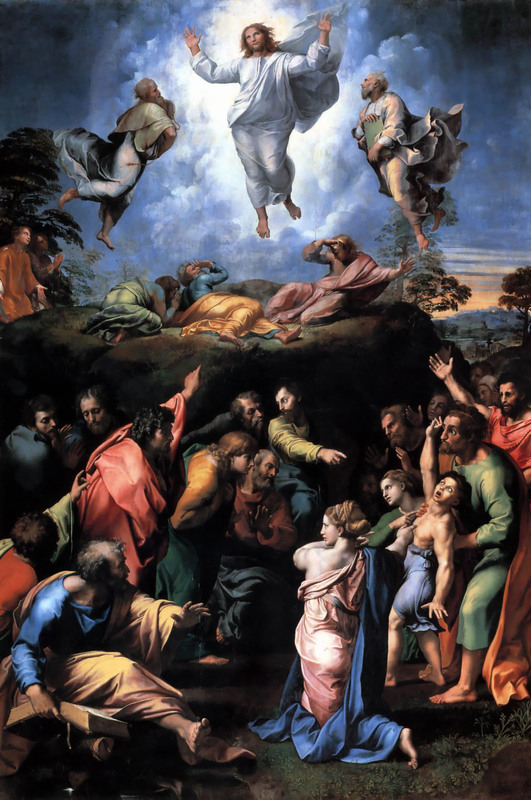 The photo I was referring to was analyzed brilliantly by Ed Cline (quoted in the post) and looks shockingly like Raphael's "The Transfiguation." 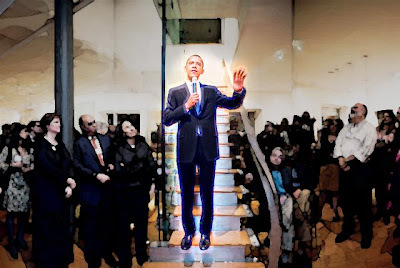 Since I now have an excuse to post it again, here is my modification of the photo, "The Transfiguration of Obama." Do not blame Caesar, blame the people of Rome who have so enthusiastically acclaimed and adored him and rejoiced in their loss of freedom and danced in his path and gave him triumphal processions ... Blame the people who hail him when he speaks in the Forum of the 'new, wonderful good society' which shall now be Rome's, interpreted to mean 'more money, more ease, more security, more living fatly at the expense of the industrious.'"